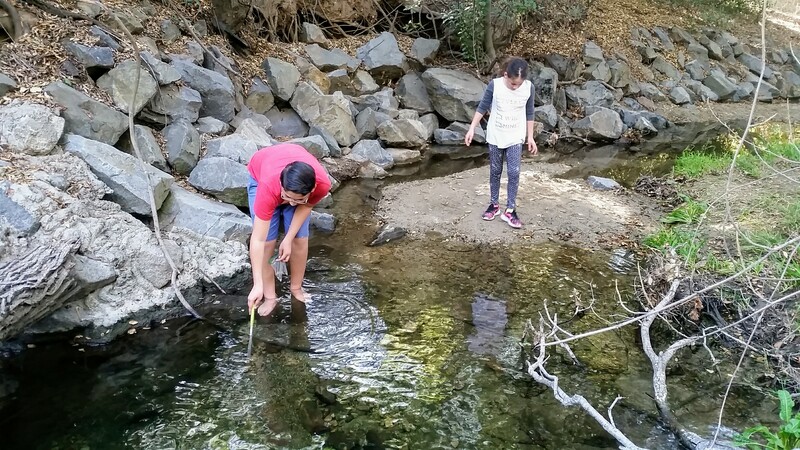 A couple of weeks ago we went on a field trip to the Oak Canyon nature park with four kids (aged 9 to 13), with me and Miré as chaperones. When we got to the trailhead we had some discussion about groups. Mostly the kids wanted to hike with their friends. Miré and I wanted to hang out with the kids (after all, that’s the main reason we chose this job). After some debate, the four kids resolved adamantly that they would go off on their own without any adults. A bit disappointed, Miré and I left the kids and went down a different trail. About half an hour in, our path crossed the kids’ path by accident, and the kids yelled at us to stop following them and go away! Reluctantly we carried on. At first we were offended that the kids didn’t want us around. Miré was also nervous that someone might get hurt and not have an adult nearby to take care of things. I don’t think the kids wanted to be away from us because they disliked us. I think this is an example of something that all adults, especially parents, have to struggle with sooner or later, as it is the natural perogative of a child to become independent and capable of getting along in the world on their own. 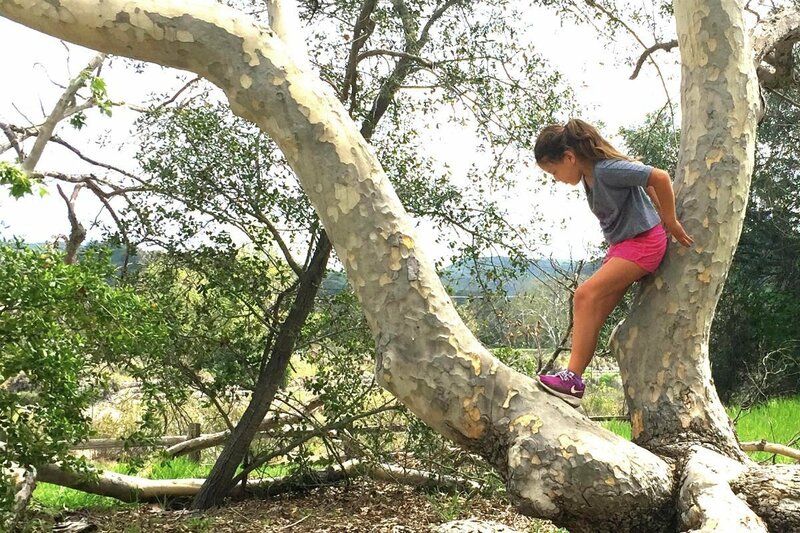 I think that by being away from adults in a nature park, those kids were doing something they very rarely get to do, which is to practice and test their own independence. Kids can never really practice independence when an adult is nearby. Think about a time you were going on an unfamiliar route, following someone who knew the way. Maybe you were walking with someone on unfamiliar streets, or following behind a car to a place you’d never been. Afterwards, could you remember the way? Could you get back there yourself? Now think about a time you had to find a place on your own, either by using a map or just wandering around looking for landmarks. After finding the place, could you remember the way? My guess is that you remembered the journey when you were self-directed, but when you were following, the journey was little more than a blur. This is what life is like being a kid. When you’re young, you are spending a lot of time following, and not learning the way. You have to spend a lot of time following because at first (that is, as a baby) you don’t know anything, and you depend on adults for your survival. But every once in a while you feel ready to try something on your own, and in order to do that you have to get away from adults so you don’t inadvertently take any cues from them. The kids on the field trip to Oak Canyon were ready to go hiking without adults. Of course it’s a little dangerous. That’s the point. The kids were ready to really put their skills to the test: navigating, keeping time, and tending to injuries should they occur. This is the kind of environment we provide at The Open School — a place where kids have their own space to practice independence when they’re ready. This means not only being able to get out of earshot of staff, but also being able to make some decisions without the advice of their parents, or even without their parents knowing what they’re doing. This can be one of the hardest things about being a parent — not knowing and not being in control, as the kids get older and begin striving for independence in small steps. This doesn’t mean that kids will never tell their parents anything, but that the kids decide how much to share. It also doesn’t mean that kids will never take parents’ advice, but that the kids decide which advice to take and which advice to ignore. In many cases, being truly free to ignore advice requires them to keep it a secret whether they followed the advice or not. So when the kids are ready to go, let them go. They will learn the way.